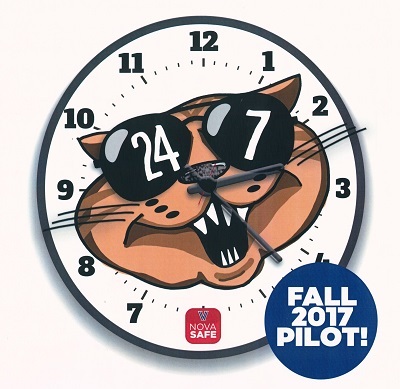 Falvey Memorial Library :: 24/7 Falvey Access Pilot Begins! 24/7 Falvey Access Pilot Begins! In response to numerous student requests, Falvey Memorial Library is now providing 24/7 access to three floors: the ground, first and second floors. This is only a trial to test the feasibility of 24/7 access. After hours, students will enter the Library (using their Wildcards) through the main entrance, through the exterior door to Holy Grounds or through the Falvey Hall/Old Falvey doors which provide access to the Dugan Polk Family Reading Room. The third and fourth floors and Falvey West stacks will be closed from 11:30 pm Sunday through Thursday and from 4:30 pm Friday and Saturday until the Library opens in the morning. Research support librarians and access services staff will be on duty only during regular library hours. Service desk hours: Monday-Thursday, 8 am-midnight; Friday, 8 am-5pm; Saturday, 9 am-5pm; Sunday, noon-midnight. The new 24/7 access provides students with lots of comfortable, well-lighted and safe study spaces and seating choices, from the quiet Dugan Polk Family Reading Room to the various areas on the second floor. 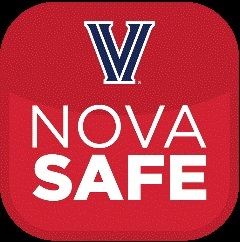 The Library is committed to providing safe study spaces for Villanova students. However, this is a pilot only and could change if problems are encountered. Will D. Cat 24/7 graphic by Joanne Quinn, Communication and Marketing director. Tedjeske’s photograph courtesy of Villanova University.